Azerbaijan is ready to allocate Pakistan a loan of $100 million to address the country's energy issues, Pakistani media reported. The offer was made by Ambassador of Azerbaijan Ali Alizade during a meeting with Pakistan's Minister for Information and Broadcasting Chaudhry Fawad Hussain in Islamabad. Ali Alizade also showed Azerbaijan’s keen interest to strengthen cooperation with Pakistan in the fields of media and information. 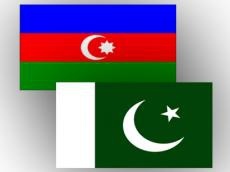 Welcoming the Azerbaijani ambassador’s offer and interest to resolve Pakistan’s energy issues, Hussain said that Pakistan would also like to enhance cooperation with Azerbaijan in tourism, media and information sectors.